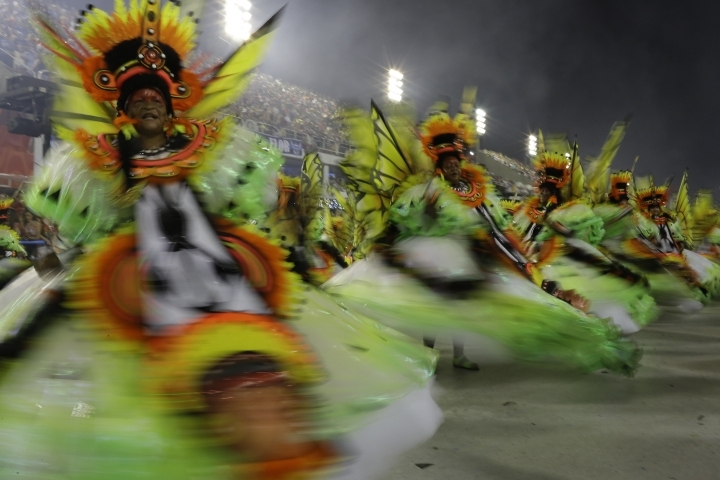 RIO DE JANEIRO — A pro-environment entry by a leading samba school in Rio de Janeiro's famed Carnival parade on Monday has caused an uproar among the country's agribusiness community. 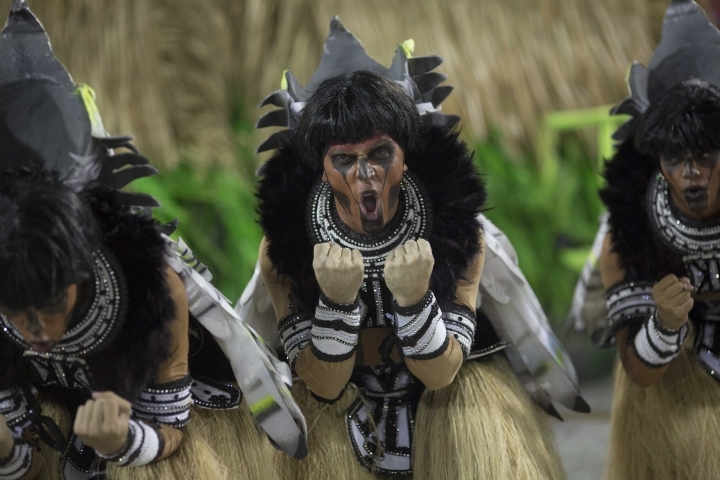 The performance by the Imperatriz Leopoldinense group praised environmental protection by indigenous people and criticized the use of pesticides and other practices of big farms that occupy formerly indigenous lands. The 2,800-member group mourned what it called "the bleeding heart of my Brazil" and sang of "the beautiful monster that steals land from its sons." Congressman Valdir Colatto, a leader of the powerful agribusiness caucus, said the performance was unfair. "If we use pesticides poorly, the rest of the world wouldn't buy from Brazil," Colatto said. "And we don't have a bad relationship with indigenous people. The rest of the world exterminated their native tribes, which never happened in Brazil." Imperatriz members said the performance did not target farmers, but instead the Belo Monte dam, a mammoth hydroelectric power plant in the Amazon near the Xingu reserve. Raoni, who leads one of 17 tribes living in central Brazil's Xingu region, saw the performance as a chance to be heard. "Our land and our waters are being destroyed. We know who is doing it and it is not us," he said. 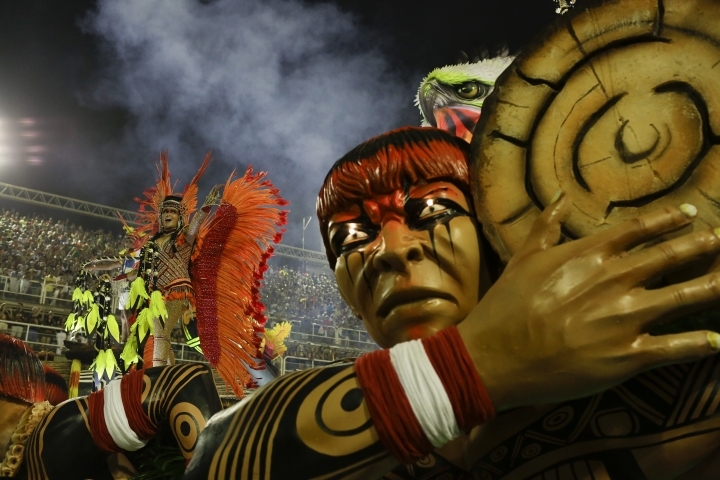 For Vanessa Silva, a 15-year-old reveler who waved to the Xingu people as they paraded with their spears, the message was, "They are trying to protect the environment more than we are in the big cities. "We should heed their message and do our work here," she said. 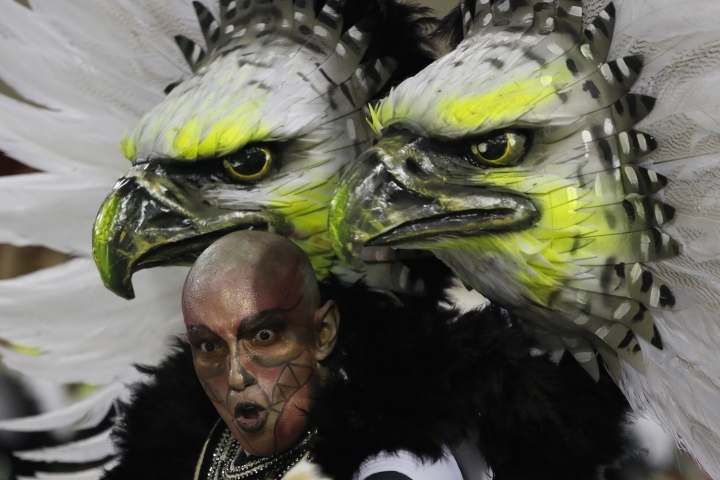 As word about the planned performance spread beforehand, lawmakers with farm industry ties said they would investigate the samba school's motives. 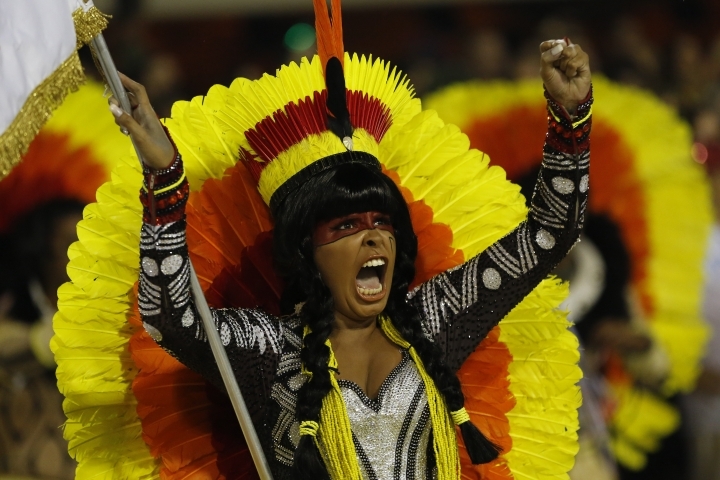 Imperatriz chairman Luiz Pacheco Drumond told The Associated Press that the flap was a misunderstanding and the idea was to praise native peoples from the Xingu region. "I have a little farm myself, we didn't mean to offend anyone," said Drumond.